Home » News » Connectwise Quickbooks Integration: How to set up accounts for easy access? QuickBooks is an accounting program offered by Intuit with various plans that are specific to industry needs. It is specially designed for established small businesses. QuickBooks assists you to manage your accounts with ease and accuracy, saving plenty of time. This helps you remain focused on growing your business rather than getting involved with the intricacies of maintaining books of accounts. With that said let’s check out why and how Connectwise QuickBooks integration is done. The QB edition is one of the most preferred financial management tool for small businesses especially. The software is incorporated with advanced tools and features that benefits the users for their accounting and financial operations. You can easily connect your financial data in a very short time with ConnectWise tool. You can integrate your QuickBooks with ConnectWise Manage and effortlessly manage your business. You can also control your regular business finances with QuickBooks . With the successful QuickBooks integration to ConnectWise, you can manage business partners and even can download your financial info. from your ConnectWise account to your QuickBooks account. This can be done in simple clicks. Below are the financial reports that can directly be exported to and from QuickBooks. Validation of the Transaction– Entire transactions are validated during the batch to assure that the data that comes into the QuickBooks is authentic. Payment – You can smoothly make payments for your invoices within QB with your Connectwise manage account. Synchronize the Payments – It allows updating the payment status from QuickBooks to ConnectWise Manage to show an up-to-date balance per customer. Support Multiple Currency – If you are working with Multiple currencies then you can easily manage them with Connectwise QuickBooks integration. Automatic Creation – QuickBooks and ConnectWise integration can create a list of new customers and vendors for any records that do not already exist. This all happens automatically so that you don’t have to raise a finger. Single Record Batches – Each and every transaction is batched to QuickBooks individually and this comes as a single record batch. It helps in easing in un-batching the transactions whenever required. Sync Entire Transactions – When you view of transactions you can sync all pending items with the click of a button with this option. Multiple QuickBooks Accounts– If you have many clients of whom you have to manage QuickBooks then with connectwise you can manage all these multiple accounts with Connectwise QuickBooks integration. You can even set ConnectWise Manage locations to make the processing even faster. Sync all the Statistics – When you connect QuickBooks with Connectwise then it allows you to gain visibility in your companies data with highly engaging graphs. This helps you to actually review the transaction that are included in your batches. Combined Support – You can connect with your consultant instantly via an form that can attach to your log data automatically for review. The ConnectWise program must be used with user ID credentials so that you can have access to accounting functionalities required. You should have the accounting package configured. For set up of ConnectWise Manage software you would need to have the credentials to access REST API. Internet Access: An Internet connection is needed. While configuring ConnectWise you will need to mention a Manage member’s login credentials still used by the website to access the accounting information system. The credentials provided by the member can be the login of the user who will be running Connect or a new member built for use of the same. If the Member is unable to work with the accounting data, then the role should be assigned so that the user can access GL interface. The “Role ID” field is installed by default where you can set to either Finance, Executive or Admin level roles. In case you need to create your own without using the default you need to ensure that the security role levels setting is set to All” for Add Level, Edit Level, Delete Level and Inquire Level on the interface of the accounting software within the Finance Module. For more information on ConnectWise QuickBooks Integration you can contact QuickBooks customer support team. You can reach them through phone or email support option. Choose live chat support for instant assistance. Also, you can connect with other QuickBooks consulting agencies like QBPro.ca. It is a reliable agency that houses highly experienced and competent QuickBooks professionals. They assure first call resolution to the users. Call to the toll-free phone number at ✆ +1800-940-7442 and garner instant support. What to do when QuickBooks won’t open? How to use QuickBooks on Linux? 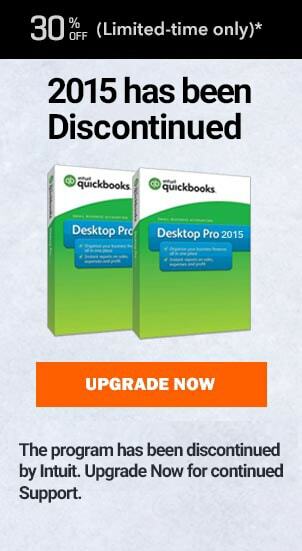 Turn off accountants copy in QuickBooks with ease. 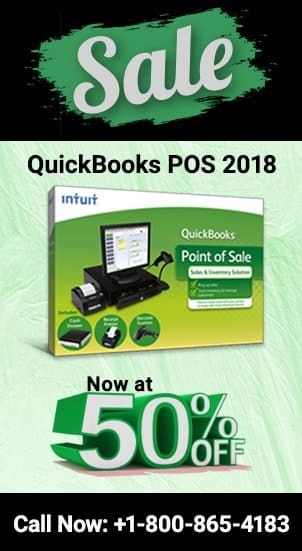 How to add data in QuickBooks POSprint receipt?